Present state: Platforms extant although buildings demolished. There has been some restoration with a short length of track, a phone box and a station sign installed by the the Friends of Riccarton Junction. The track was lifted in summer 2011. The stationmaster's house still stands but it is a shell. . Click here for pictures. 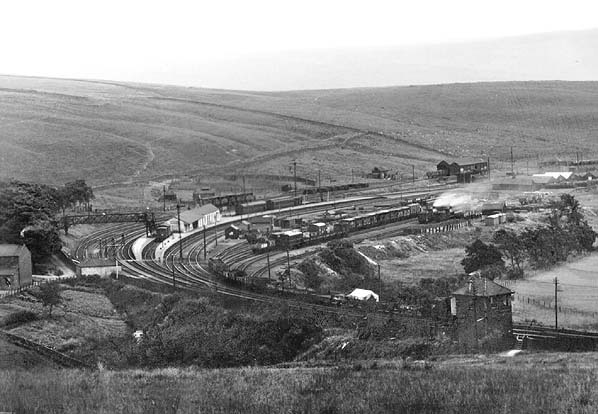 Notes: The Border Union (Waverley) line met the Border Counties at a remote and previously inaccessible site: a broad valley surrounded by moorland, where the only habitation was a shepherd’s cottage. 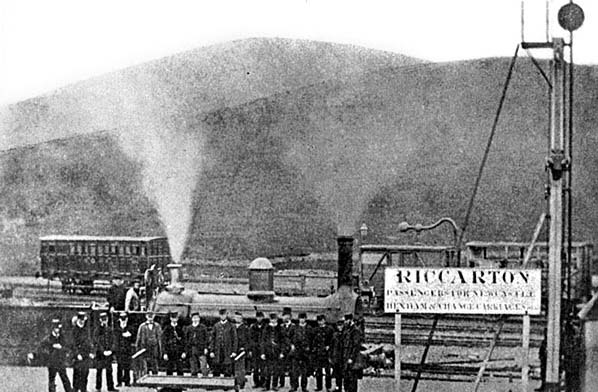 The railway adopted the name Riccarton from a tower and farm some distance south and a burn that rose nearby. A village of 37 houses was created for railway workers and their families, together with a school and mission hall. The station buildings contained a branch of Hawick Co-op and a post office. Church services were first held in the engine shed and later in the waiting room, the minister reaching the station by walking along the railway from Saughtree. No doctor was in residence in the village, so an engine was always kept ‘in steam’ to seek medical assistance, if necessary, in Newcastleton or Hawick. Burials were not conducted at Riccarton: coffins were conveyed to Newcastleton, where interment took place. platform had bays at each end, the southern one for Border Counties trains. The north bay was abandoned and in-filled before closure. A footbridge gave access to the village, which overlooked the station from the north-east. Signal boxes stood at each end of the station. 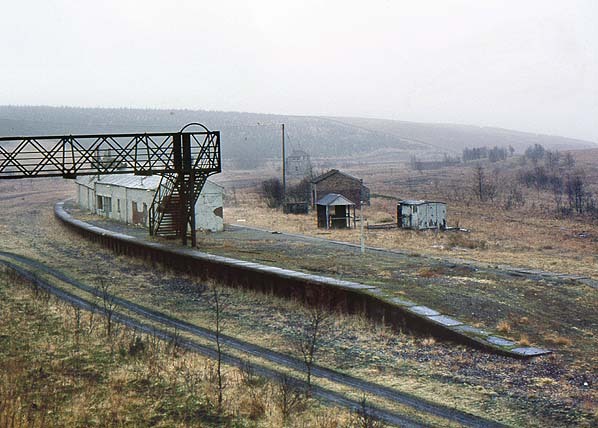 The range of single-storey platform buildings lacked architectural merit. 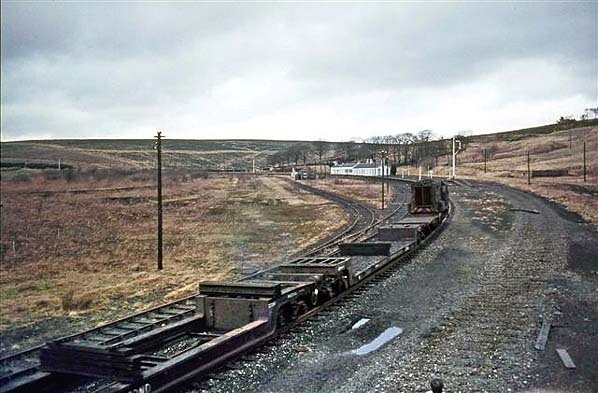 The isolated community thrived, entirely dependent on the railway for access until the 1960s. It managed without electricity until 1955, when such modern devices as cookers were introduced, hauled from the station to the village by sledge. Although Border Counties passenger trains ceased in 1956, and goods services in 1958, the Waverley route survived until 6 January 1969. Riccarton Junction’s goods services had already been withdrawn on 6 Feburary 1967, and from that date the station ceased to be staffed. For some years before and after closure there were attempts by the Border Union Railway Preservation Society to keep the Waverley line alive as a private enterprise, but their efforts were fruitless and the tracks were lifted. I (AEY) visited Riccarton in January 1978, driving there along several miles of rutted tracks. 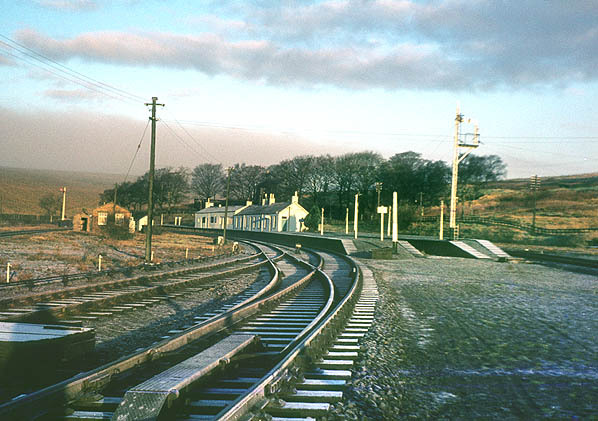 In a wasteland formerly occupied by sidings, the platforms, buildings, footbridge, southern signal box complete with lever-frame, and even a phone box remained. The railway cottages had gone. Only the school-house was still occupied, attended by a vociferous dog whose incessant barking was the only sound to be heard. The stationmaster’s house was also present, but derelict. Within five years much of the station had been demolished. 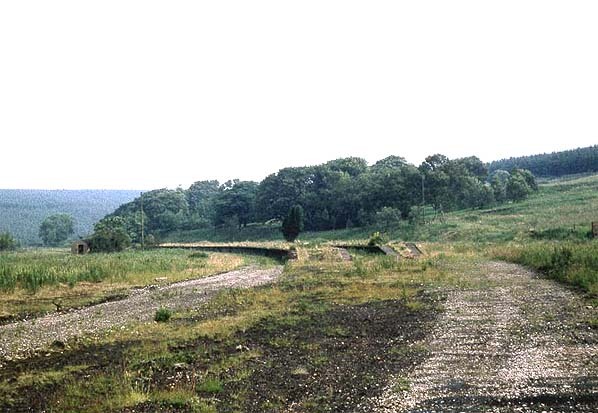 (The BBC programme Slow Train to Riccarton made in the early 1980s includes interviews with former residents of Riccarton village and footage of the remains of the station.). 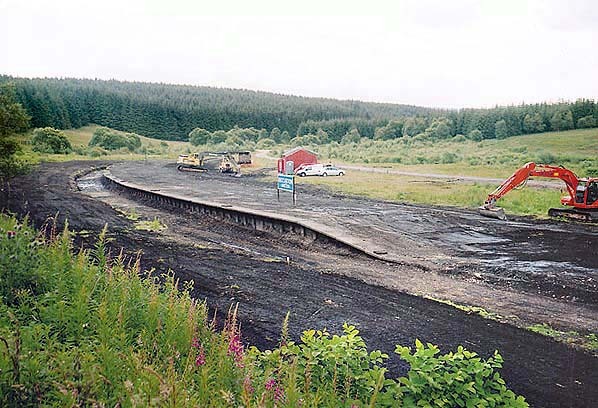 It has been reported that the track was removed in Summer 2011. Click here to download Slow Train to Riccarton. You will need P2P BitTorrent client like Wyzo or Vuze to download this. Newcastleton to Riccarton Junction following on 2 June 1862. 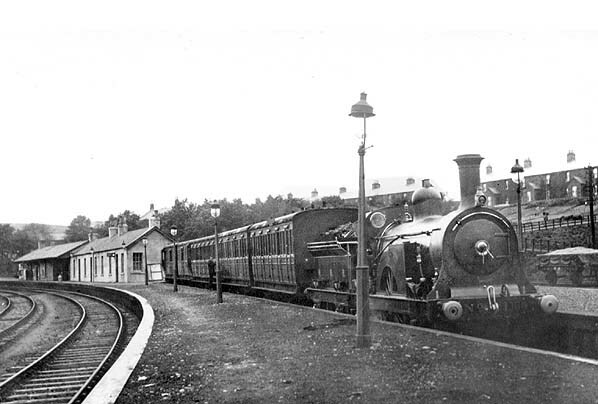 Finally, the Riccarton to Hawick section opened with through freight trains to Edinburgh, running from 23 June 1862, and passenger services were introduced on 1 July 1862. 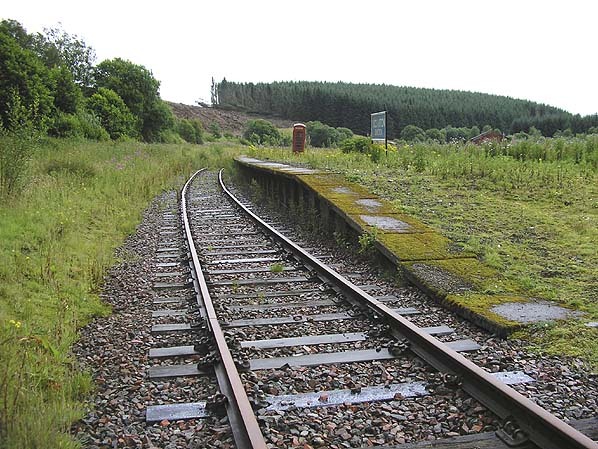 Although the line had been engineered for double-track only a single track was laid between Riddings and Riccarton, but this had been doubled by 1863. Longtown and Newtongrange was removed by early 1972. 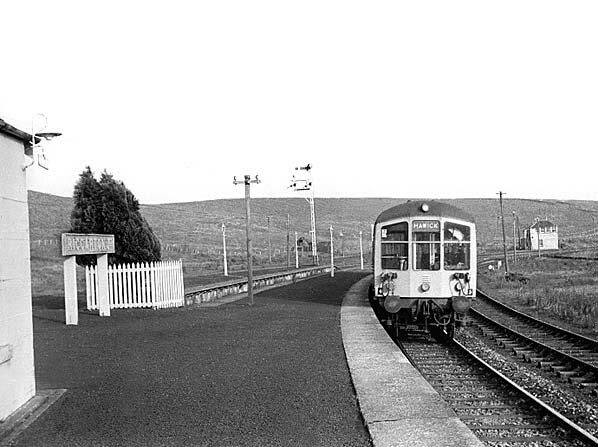 The final stretch from Newtongrange to Millerhill was closed on 28 June 1973 and removed soon after. Tickets from Michael Stewart, Bradshaw from Chris Totty , route map drawn by Alan Young. Riccarton Junction station post grouping. 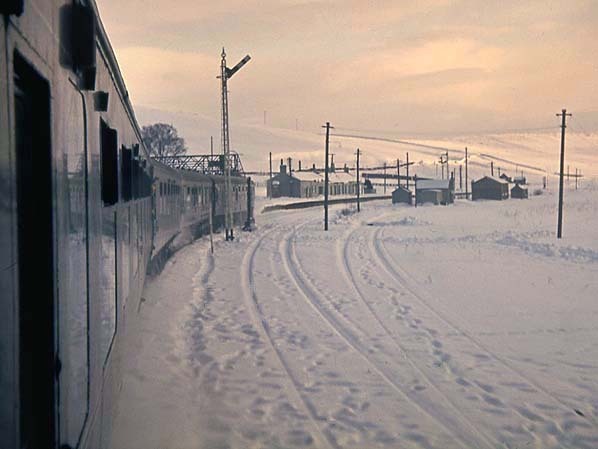 Riccarton Junction looking south on 12 January 1963, two days after a snow drift was cleared which had blocked the line for a week. Riccarton Junction station in November 1967. Riccarton Junction station during track lifting in the early 1970's.